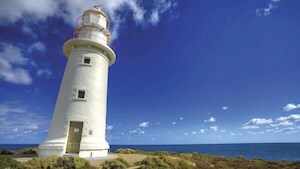 Wherever you go on Yorke Peninsula, you’ll be welcomed by friendly locals keen to show off their towns and region. Yorke Peninsula has 700kms of coastline, beaches & amazing scenery with many coastal towns to explore including Edithburgh, Stansbury, Port Hughes, Wallaroo, Port Victoria, Point Turton, Port Broughton, Port Vincent & more. 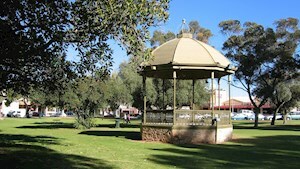 Head inland and you'll find more towns to discover including Minlaton, Kadina, Warooka and Maitland. 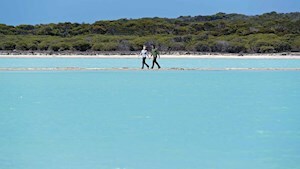 Being just two and a half hours drive from top to bottom and around 30 - 40 minutes from coast to coast, you can base yourself in one spot and spend day trips exploring Yorke Peninsula. Known for it's Blue Swimmer Crabs & imposing red cliffs, Ardrossan is an easy 90 minute drive from Adelaide on the eastern coast of Yorke Peninsula. Balgowan is a small fishing community and popular holiday area for families and fishers, popular for catching snapper & King George whiting. Black Point offers a relaxed lifestyle with fishing, swimming, sailing, boating, crabbing & beach activities, and absolute beach front accommodation options. Taking its name from the Isle of Bute in the Firth of Clyde, Scotland, Bute is a service town for the surrounding agricultural district. 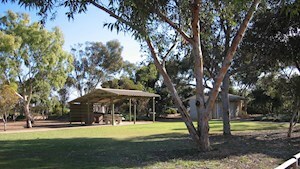 Located on a wide sweeping bay, Coobowie is a great holiday spot, perfect for relaxing or enjoying the nearby walking trails including Walk The Yorke. On the foot of Yorke Peninsula, Corny Point is just a short drive to some of South Australia's best surfing & Innes National Park. Coming from 2 Aboriginal words meaning 'emu waterhole', Curramulka is an inland town; regular community events include the Curramulka Markets & Speed Shear. 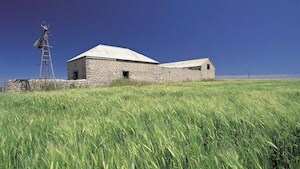 Located on Highway 1 just 60 kilometres from Adelaide, Dublin is a popular stop for travellers. Overlooking Troubridge Island, Edithburgh has great swimming beaches & a tidal swimming pool with a shallow area for kids. 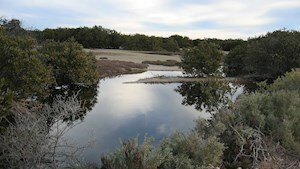 Sandy beaches and a sheltered bay make Hardwicke Bay a popular holiday destination on Yorke Peninsula. Once a gypsum mining town, you can now visit Inneston and stay in one of the renovated holiday houses providing accommodation within Innes National Park. 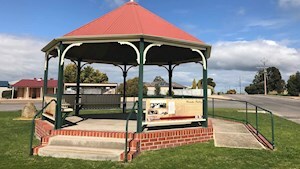 Kadina is a great base for exploring northern Yorke Peninsula & the Copper Coast, just 15 minutes from the coast it's a commercial centre for the local area. 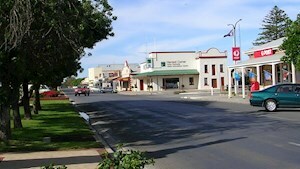 Geographically central on Yorke Peninsula, Maitland is just 15 minutes to the coast on either side. The gateway to Innes National Park, Marion Bay is on Yorke Peninsula's "bottom end" with fantastic fishing & amazing scenery on it's doorstep. 197kms from Adelaide, Minlaton is home to the Harry Butler memorial & the 'Red Devil' Bristol Monoplane, believed to be the only genuine one left in the world. 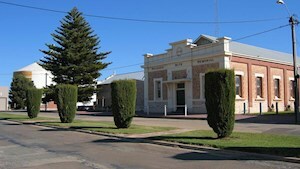 Famous for it's Cornish Pasties, mining heritage & Cornish connections, Moonta has been awarded National Heritage Status for the Moonta Mines area. 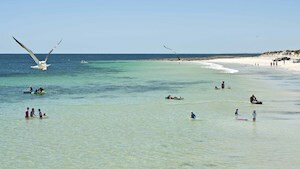 Moonta Bay is a popular holiday destination on Yorke Peninsula's western coast with sandy coves, stunning beaches, jetty, fishing & clear blue waters. A long wide stretch of white sandy beach makes North Beach a family holiday favourite in both summer and winter, with beachfront accommodation available. Held in September every 2 years, Paskeville hosts the Yorke Peninsula Field Days (the oldest in Australia) with millions of dollars worth of farm machinery on display. Overlooking Hardwicke Bay's blue waters & white beaches, Point Turton is popular for year-round watersports including boating, sailing, windsurfing, diving & fishing. At the top of Yorke Peninsula, Port Broughton is a central location for visiting Yorke Peninsula as well as nearby Clare Valley & Southern Flinders Ranges. A popular location for fishing, crabbing & birdwatching, Port Clinton is the most northern town on the eastern coastline & is part of the Samphire Coast. Just 30 minutes north of Adelaide, Port Gawler is a mecca for crabbers, fishers and bird watchers with some great viewing spots. 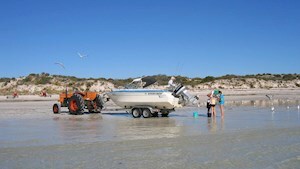 Great fishing & crabbing with a boat ramp and long jetty, Port Hughes is also a favourite destination for golfers, home to The Dunes Port Hughes & CopperClub. 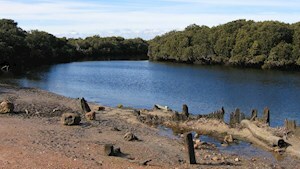 Located between Black Point & Port Vincent, Port Julia is a popular holiday spot with great crabbing & angling. With great fishing & a wealth of maritime heritage, Port Victoria is known as the last of the windjammer ports. A favourite holiday playground, Port Vincent has many water activities to enjoy...fishing, boating, sailing, swimming, kayaking & snorkelling. 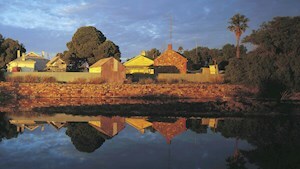 A pit-stop for travellers for many years, Port Wakefield also has a lot to offer off the highway including heritage buildings & wharf, walking trails & cafes. 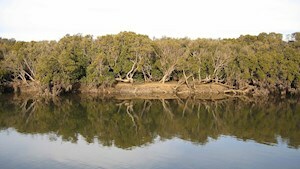 Popular with fishers, Price offers sheltered boating amongst the mangroves, samphire tidal flats and creek systems accessed by a 1.5 kilometre causeway. Located on Oyster Bay, Stansbury is a favourite seaside holiday spot. For keen anglers, there is beach & jetty fishing plus an all-tide two-lane boat ramp. 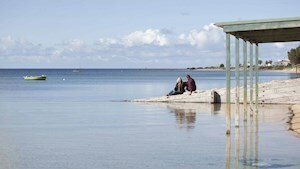 284km from Adelaide, Stenhouse Bay is the most southern town on Yorke Peninsula & is the gateway to Innes National Park. Just north of Ardrossan, Tiddy Widdy Beach is a popular crabbing spot, with Blue Swimmers best caught in warmer months (months with an 'r' are recommended). Popular with holidaymakers, Wallaroo offers coastal activities including fishing, swimming & sailing; with a range of accommodation options to suit nay budget. At the gateway to Yorke Peninsula's 'bottom-end', Warooka is a service centre for the local area, and just a short drive from nearby beaches. 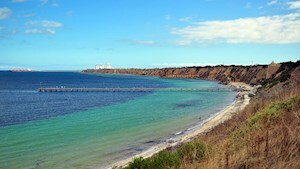 Once a busy port, Wool Bay is now a holiday spot with historic lime kilns overlooking the town jetty. 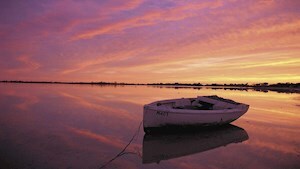 Surrounded by over 200 salt lakes, the area around Yorketown is popular with photographers capturing the pink lakes created by salt crystal formations.